I Want To Buy An Investment Property What Now? 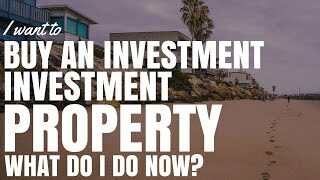 I Want To Buy An Investment Property What Now? I want to buy an investment property so what do I do now? I’m going to cover that question in today’s episode. Taking the step to go ahead and purchase an investment property, whether through saving a deposit and purchasing it or through drawing against your own home in order to purchase an investment property, is a pretty big deal. If you’ve decided that you want to buy an investment property, well what are some of the next steps that you can take in order to make that a smooth transition and an easier thing to do? The reason I recommend seeing a mortgage broker as your first step is that they can assess your financial situation across a number of lenders and they can let you know what your borrowing capacity is and what kind of deposit you’ll need in order to invest. 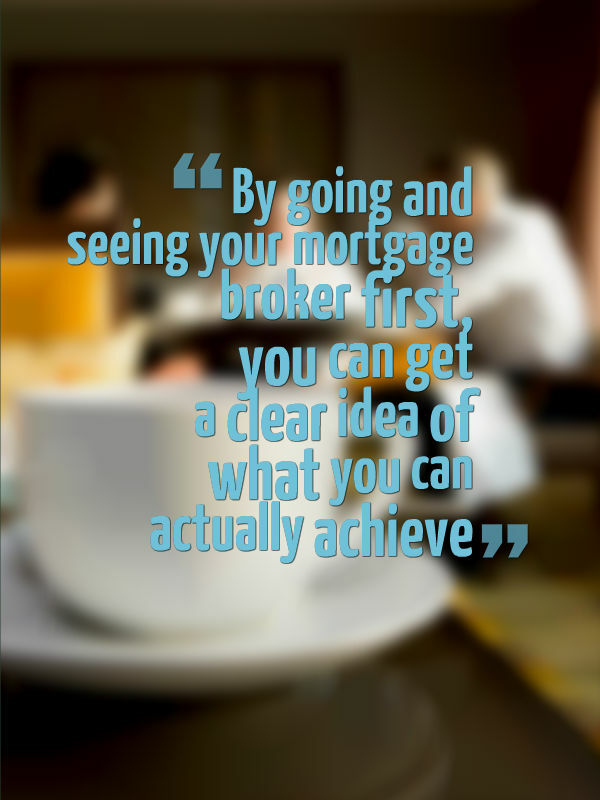 By going and seeing your mortgage broker first, you can get a clear idea of what you can actually achieve so you’re not out hunting for properties that you can’t actually get finance approval for. Mortgage brokers offer a free service and by going to them before you purchase a property, it means that when it comes time to making offers on properties, they know your financial situation and just makes the loan process so much easier. If you need a mortgage broker and you want help getting one click here and fill out your details and I’ll have my mortgage broker get in contact with you. Just to be transparent there is a small commission that I receive, if you do end up getting a loan through the mortgage broker but it’s still going to be a free service to you. Step #2 after seeing your mortgage broker would be to set financial goals and that would be to understand where are we heading, where are we going in our investment journey and what are we trying to achieve? I’m talking long-term financial goals but I’m also talking about this next investment property. If you have a long term financial goal of financial freedom or maybe $60,000 a year in passive income, well what’s your goal for this investment property? What’s it going to deliver you this year? What return on investment do want and how does that fit into your longer term plan? It’s worth sitting down and working out what your financial goals are and where you want to go so that when it comes time to hunt for properties you can only look at properties that are actually going to move you towards your financial goal and you don’t get distracted by the myriad of other properties out there that aren’t going to actually move you forward. Step #3 is to start saving your deposit or apply for an equity loan. If you’re drawing against your home and you already have some equity, well then you could apply for an equity loan in order to fund your investment property deposit. However, if you don’t have that, well then you’re going to need to save the deposit yourself. This is by no means an easy thing to do, so the sooner you start saving, the sooner you’ll have your deposit in order to purchase an investment property. There’s no real easy way to save a deposit without any heartache or without any hassle. Step #4 is to do some recon and start researching suburbs and areas that you potentially want to invest in. I do recommend that you don’t just look at the suburb that you’d live in or that you want to live in. Just because it’s a nice place to live, doesn’t mean that it’s a good place to invest. You want to widen your search and you want to research a bunch of different suburbs and then narrow it down to a couple of suburbs or a couple of areas that you think have the right indicators for growth and the right indicators that will deliver the return on investment that you want. 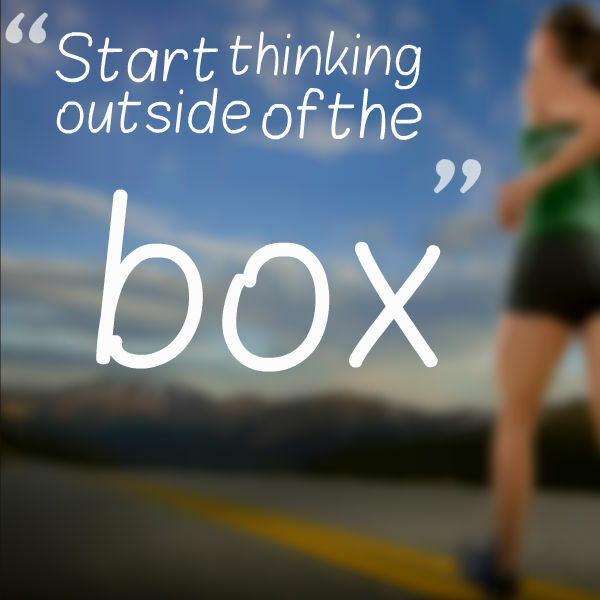 Tip #5 is to then start thinking outside of the box. So rather than thinking ok well I’ve found these areas that I like, I’m going to invest in this particular property, its super stock standard, it’s just going to be a normal property and I want to buy it and hold it. But maybe it’s time to start thinking outside of the box of things that you can do in order to get a better return on investment. Purchasing a rundown property that needs some sprucing up and some renovation, it could be purchasing a property with a large enough block of lane to do sub-division or to build a granny flat or it could be even purchasing a vacant block of land and building a property on it. There’s many different things that you can do, different ways that you can invest to move you towards your financial goals. So if you’ve found an area that has the indicators that you want for future potential growth well then start getting creative in your thought process about how you can purchase a property that’s going to get the best return on investment in that area. Step #6 is to then get pre-approval for your loan. So if you’ve already gone to see your mortgage broker, maybe you’ve already done this but if you haven’t, it’s a good thing to get done before you start making offers on properties. You want to ensure that you get pre-approval so that you know that you can get financing. Pre-approval generally means that you’re approved for financing as long as your situation doesn’t change and the valuation of the property comes through fine. By having pre-approval it speeds up the loan process and means you can act more quickly when you do see that property that you love and that fits your investment criteria. And step #7 would be simply to make offers and then to purchase an investment property. This is the fun part but this is also the nerve wracking part. It’s going to open houses, it’s talking to agents, it’s making offers, it’s working with solicitors and working with your mortgage broker, but if you have a good team around you, then it shouldn’t be too nerve-wracking and your solicitor or your conveyancer should be able to talk you through the steps that need to happen and your mortgage broker will also talk you through the steps that need to happen with your loan. They’re the 2 biggest things that I have found when purchasing a property that get people really nervous because they don’t know all of the steps but if you have someone on your team who does know it, then you’ll be fine and you don’t need to stress. So if you want to buy an investment property, well now you know some steps that you can take in order to make it a reality. It’s probably not going to happen overnight because it is a pretty large investment that you’re going to be doing and you want to make sure that you do thorough research so you’re making a good decision. But don’t get too hung up on the details as well. Sometimes you can do too much research and then you can’t make a decision. I wish you all the best in your property search and in your next investment property and if you want help finding positive cash flow properties then inside Get the free eBook, which is my premium membership website, I teach you how to find positive cash flow properties. I also teach you how to research an area and I even go out and find and list positive cash flow properties for you to make your search so much easier.